Disclosure: I was not paid or compensated in any way to write this review. I am not affiliated with the company that manufactures and distributes this product. I paid for the product with my own funds. This review reflects my own honest experience with and opinion of the product as a consumer. 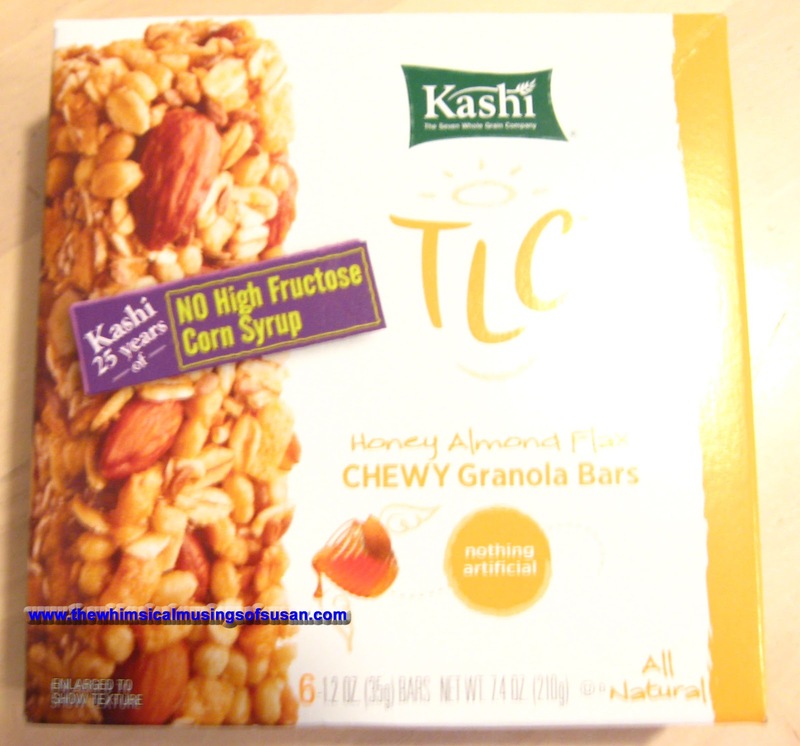 This product review is for Kashi TLC Chewy Granola bars. One box costs around $4.00 and contains 6, 1.2 oz. bars. This is the first time that I can remember ever trying any Kashi product. It was actually purchased on a whim: I was walking down the snack food aisle at Winn-Dixie and it stood out, because it was on sale. Another reason that I decided to buy it is that I knew that I had a taste for a healthy snack. Honestly, I am not very pleased with the taste of Kashi TLC Chewy Granola bars. This bar is not nasty tasting, but it doesn’t taste that good either. It is not as chewy as other similar brands, it has sort of a dry feel to it. The texture of Kashi TLC bars is somewhere in between a very chewy granola bar and a dry, coarse, Nature Valley granola bar. I expected for it to be a little bit sweeter than it is. In all fairness, Honey Almond Flax is the only flavor of Kashi TLC Chewy Granola bars that I tried so far. Also, there is a wide range of flavors and different varieties in the Kashi TLC brand of products. The other flavors available in Chewy Granola are Cherry Dark Chocolate, Dark Mocha Almond, Peanut Peanut Butter, and Trail Mix. There are cereal bars, cookies, crackers, crunchy granola bars, layered granola bars, and pita chips in the TLC line, as well. Maybe I am a little bit biased by my experience with and preference for richly flavored snacks. For, example I really like the taste of Quaker chewy granola bars. The downside of Quaker chewy granola bars is that they are not natural and they contain some artificial sweeteners and preservatives. But, I guess that if you want a product that is natural and healthy, sometimes you should be willing to compromise somewhat on taste. The transition from junk foods to healthy snacks is going to take my taste buds awhile to get used to. Don’t expect for this product to be filling, either. There are just enough calories in each bar to quell hunger for maybe an hour or so. You can easily eat two or three of the Kashi TLC bars and still not feel full. They are really just a light snack. One positive aspect of Kashi TLC Chewy Granola bars is that they are made from high quality ingredients and are healthier than other bars. Each bar contains only 140 calories, 4g of fiber, and 5g of fat. There is no high fructose corn syrup in the product. They are naturally sweetened with wildflower honey. Very little of the ingredients in the bar are processed. You know what you’re eating, because you can see the nuts, seeds, and grains in the bars. 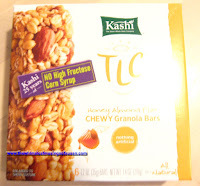 So in closing, I would recommend Kashi TLC Chewy Granola bars, if you are looking for a natural, light, low calorie, low fat snack. In spite of the taste, I would be willing to try other Kashi products, because of their health benefits and high quality. If you aren’t worried about health or nutrition and are more concerned about taste, then I would try a different product. Again, I can’t say that this one tastes very good. You can print a coupon for $1.50 off two boxes of Kashi TLC at the time of this blog post. For more general information about the product, you can visit http://www.kashi.com/product_family/tlc_snacks or call 877-7GRAINS.